In the world of modern dating, texting is a powerful tool that can help you build up attraction between you and the man you are crushing on. But there is a right and wrong way to go about it! Text flirting can be tricky business if you don’t know what you’re doing. It can be easy to get carried away and look needy or desperate. You still want the man to do most of the wooing, so it’s important to hold back a little. Remember that men value a woman they have to work for. 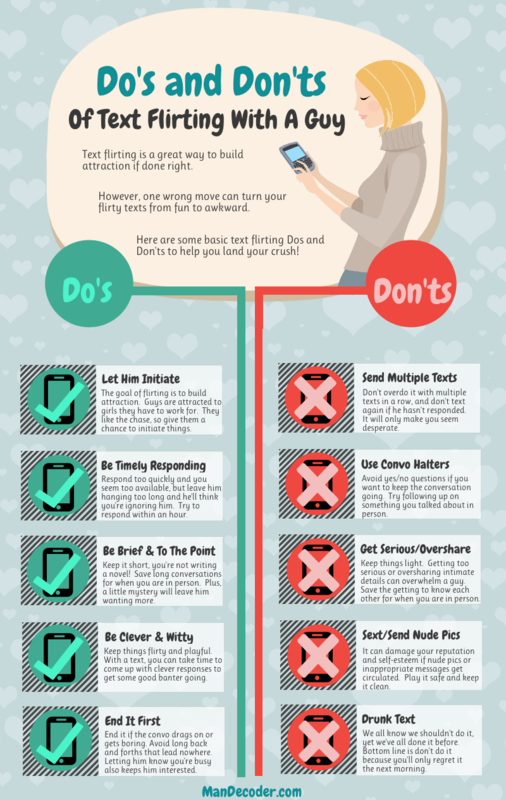 The next time you reach for your phone to send off a flirty text, take a minute to look at this list of dos and don’ts.